Assistant Professor of Art Heidi Cook completed her Ph.D. this year in the history of art and architecture at the University of Pittsburgh with advisor Barbara McCloskey. 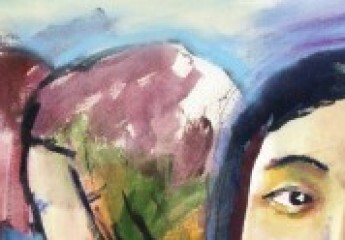 Her dissertation was titled “Picturing Peasants: Maksimilijan Vanka’s Folkloric Paintings and the ‘Croatian Question’ from Habsburg Empire to Croatian Nation-State.” Using the work of Croatian-American artist Vanka as a linking thread, her project explored how the production, circulation, and reception of objects and images related to Croatian folk culture played an active role in imagining a spectrum of competing national and imperial identities in early twentieth-century Yugoslavia. She received an American Councils Title VIII Fellowship, Foreign Language and Area Studies Academic-year Fellowships, and a Mellon Predoctoral Fellowship from the University of Pittsburgh among other grants to fund her research and writing. Her research will continue to focus on visual constructions of nationalisms and other competing political identities in the modern art, architecture, design, and cultural history of Central and Eastern Europe. 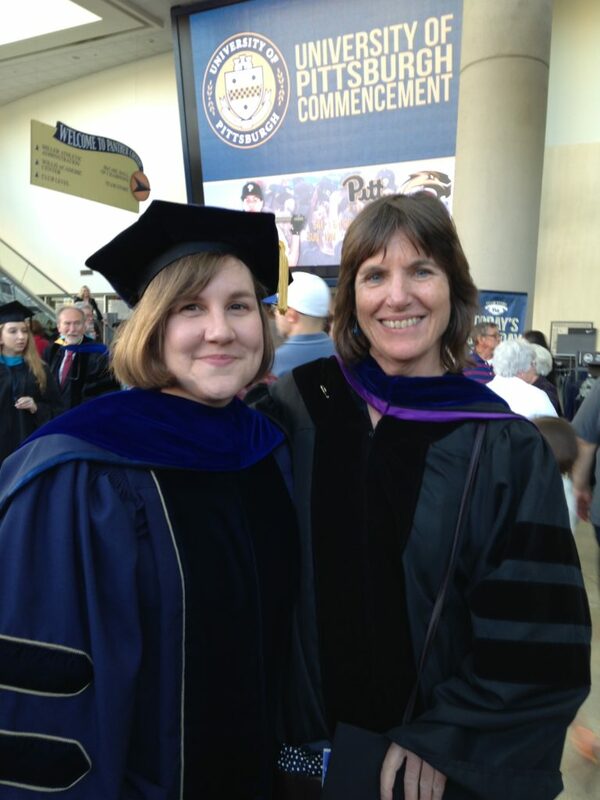 Dr. Cook and Dr. McCloskey at the University of Pittsburgh Commencement.